There's one like this at 2591 Fairview Road in Raleigh. This was the standard design for a Gulf station.There is still another larger version in durham near the old starlite. Same beick details with large living quarters for the owner. Here is the one in Savannah that I mentioned in the post. We (Bountiful Backyards) contacted the owner about renting it for our office, but the rent was too high for such a tiny space. This building has been renovated and now houses Sofia's Pizza. I'll try and get a photo up soon. 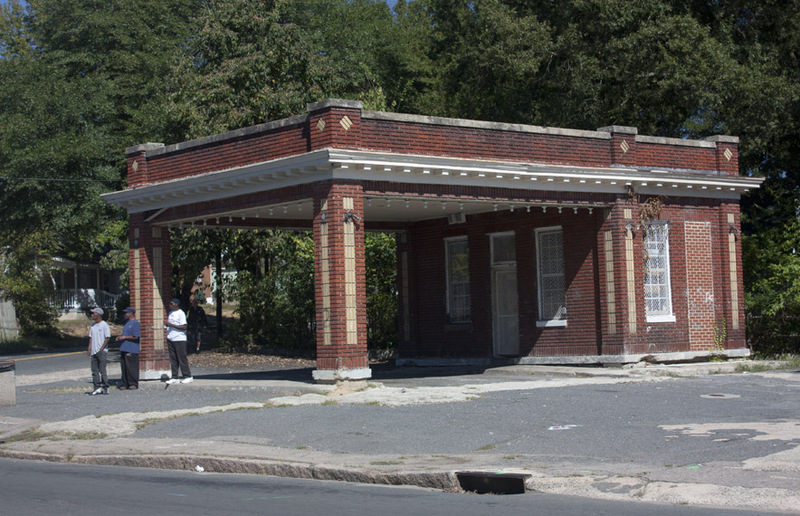 The East Durham Service Station was built in the early 1930s; I've seen another station almost identical to it in Savannah, GA, so my guess is that it was not an uncommon plan. The city directories continue to list the East Durham Service Station at least through the 1960s. I don't know how long it has been abandoned, but I can say that it has certainly been at least 5-6 years. Owned by MM Fowler of the Family Fare oil/gas empire, the station does not have a bright future, although it does appear that a coat of paint was put on the wonderful dentil moulding sometime in the last 3 years. It is, hands down, one of my favorite buildings in Durham. 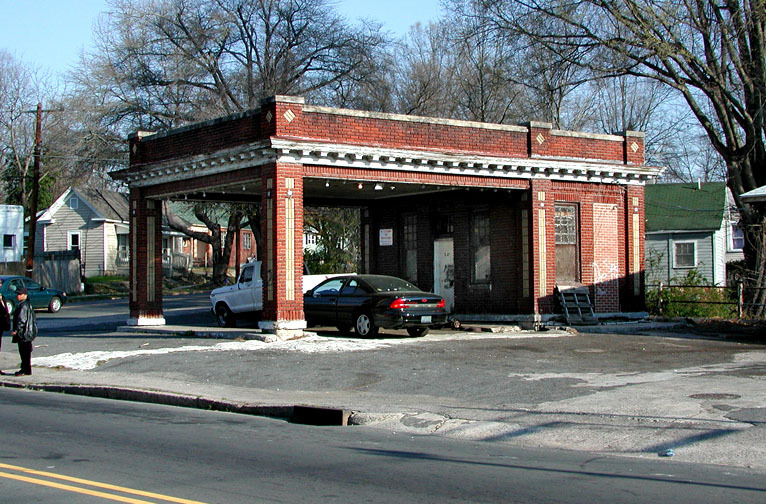 Amazing how much character gas stations used to have, in contrast with what they've become. I can envision a multitude of cool adaptive re-uses of this building; I hope that one happens for it someday.